I love delicious, fresh and fruity drinks in the summer- but I crave cocktails that aren’t overly sweet, too artificial tasting, or weird funky colors. 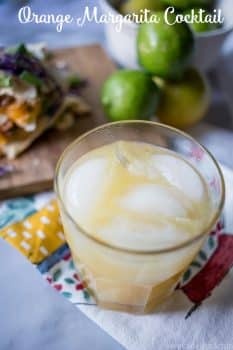 I love fresh flavors that perfectly compliment the liquor we’re drinking- and this delicious Orange Margarita Cocktail is always a huge hit! This drink is very similar to a margarita- but has some fun twists. For one, we’re using orange juice instead of lime- and cutting the tequila mix or triple sec and replacing it with Grand Marinier instead. 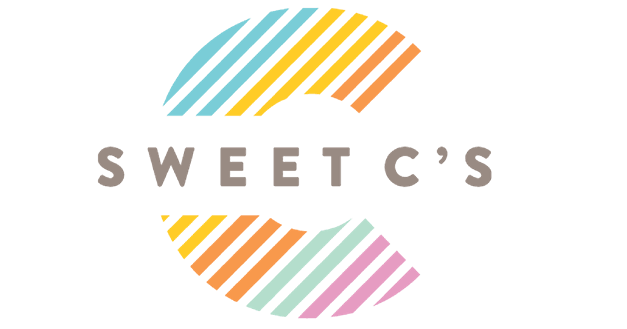 It’s refreshing and not too filling- without being cloyingly sweet. 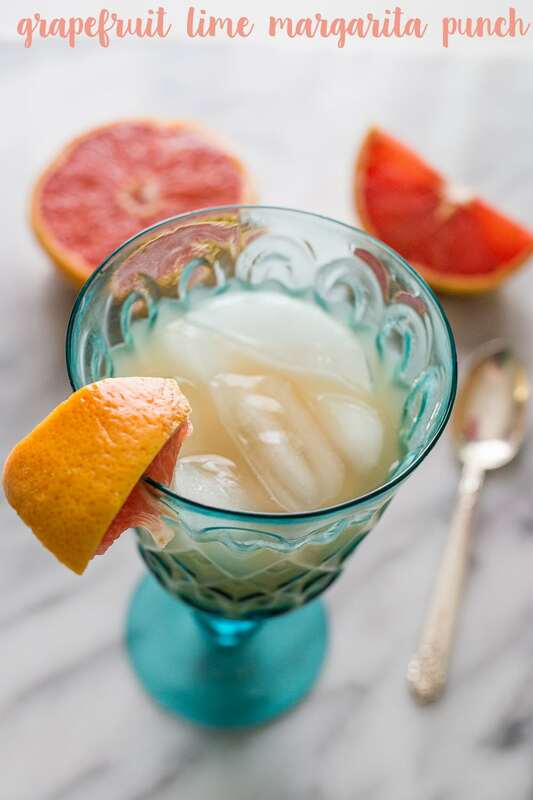 It’s a great spring and summertime drink- and perfect for Cinco de Mayo! Since this drink isn’t quite as sweet or tart as a traditional margarita, you don’t need to salt the rim of the glass. Of course, if you like to- go for it! But I love to slowly sip on this without the salt sometimes too (as pictured) and it is still very well balanced and delicious! 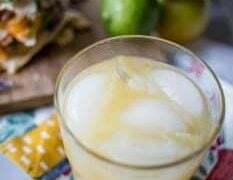 This delicious twist on a cocktail is made with orange juice and an unsalted glass, for a less-sweet but flavor-packed margarita cocktail! Mix in cocktail shaker with ice and pour into glass- salt optional. 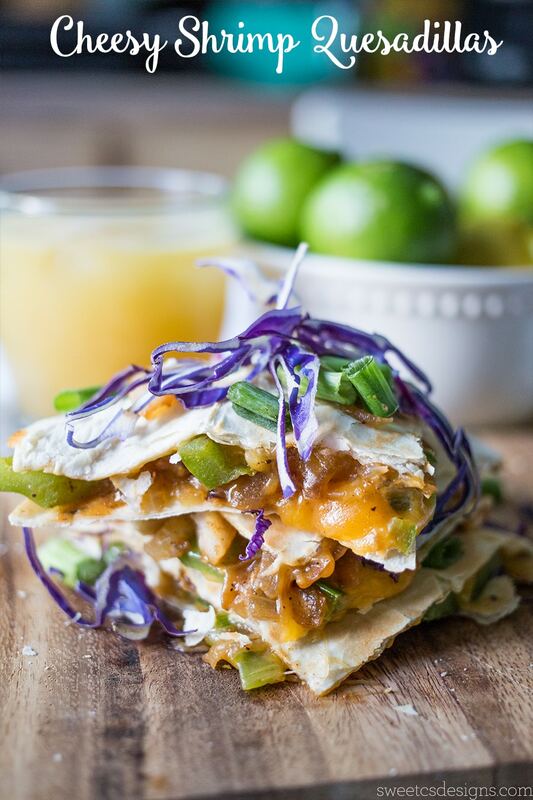 For the perfect dish to pair with this drink, check out these delicious and easy Cheesy Shrimp Quesadillas! 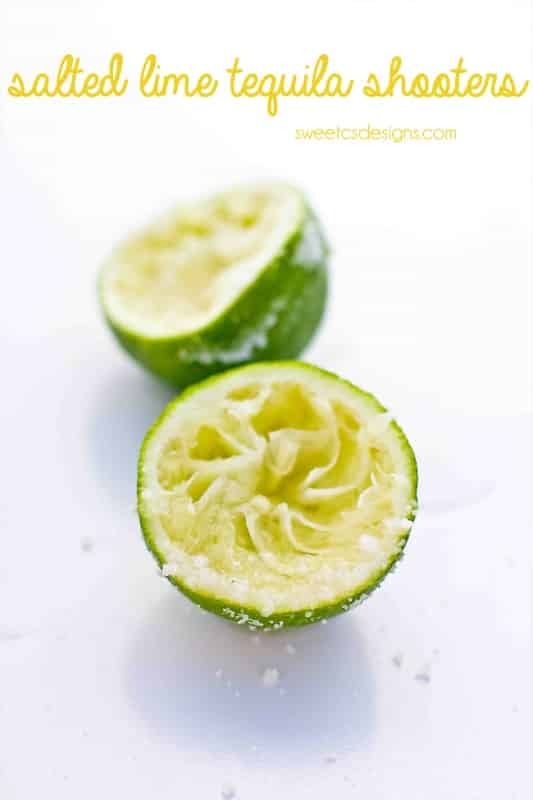 And for one final delicious Cinco de Mayo drink, check out these Tequila Lime Shooters!